Leicestershire based Hawk Racing has confirmed that Michael Dunlop will race for the team at the 2016 Isle of Man TT Races fuelled by Monster Energy. The team made the announcement in London at the MCN Motorcycle show at Excel today. 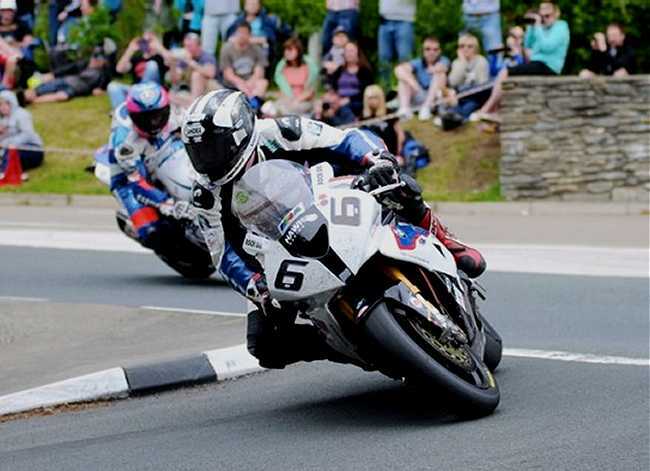 Eleven-time TT Race winner Dunlop, 26, will again ride the BMW S1000 RR Superbike on which he dominated the 2014 TT Races, which included a Superbike and Senior TT double. Dunlop’s 2015 TT campaign for the team was hampered by an injury sustained in the opening race of the meeting, the RST Superbike Race but he still went on to record his fastest TT lap – 132.515 – which is the second fastest lap in TT history, on the final lap of the PokerStars Senior TT to finish fifth. The Ballymoney man will also race for the team at the North West 200 and Ulster Grand Prix as well as campaigning the team’s Superbike in several BSB rounds, including Silverstone and Oulton Park, as a wild card entry. Dunlop’s remarkable TT Races career began in 2007 with his first race win in the Supersport class two years later. He took his first ‘big bike’ win in 2011, winning the Superstock race before taking his first Superbike title in 2013.